Life has been getting incredibly busy lately. Between working, yoga, family, and friends I feel like I barely have any days where I don’t have at least one this planned. 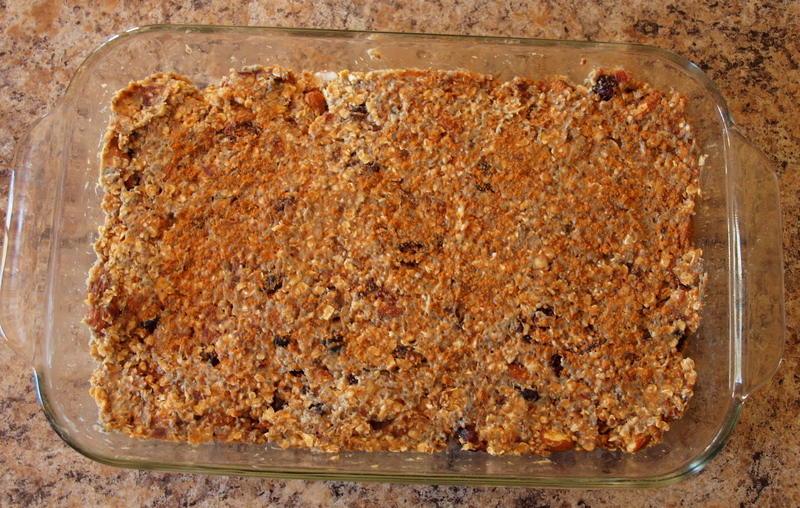 These bars are becoming a staple because they are super simple but so delicious. They are the perfect snack if you need something healthy and filling or a great to-go breakfast if you are running late! Here’s how you make them. First you will want to loosely chop your almonds. 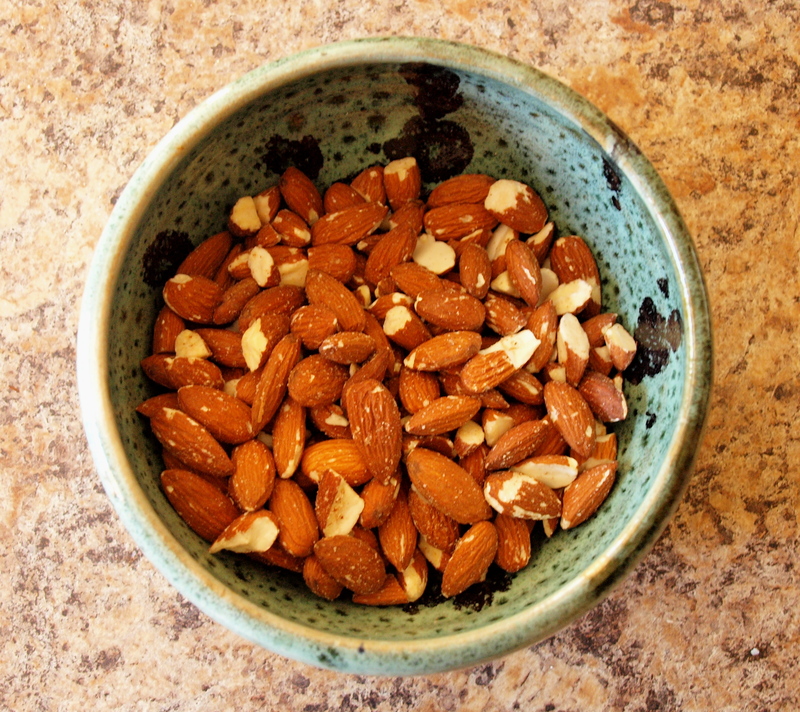 To do this, place the almonds in a food processor and pulse a few times. You will have some whole almonds and some almond pieces. If you don’t have a food processor you can just loosely chop the almonds with a knife. Next, turn your dates into a paste. Place the dates in your food processor with 4 tablespoons of water and blend until all the dates are ground up. 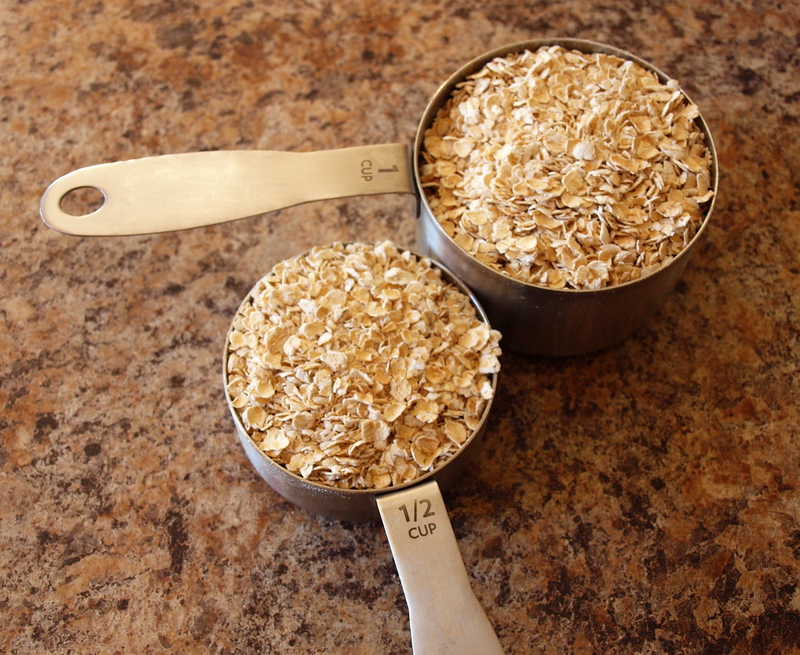 If you don’t have a food processor try this in a blender. The final preparatory step is to melt the peanut butter. Place the peanut butter in a small sauce pan and place on the stove over low heat. Stir the peanut butter until it is all melted. This should only take you about 30 seconds. Then, just throw all the of the ingredients into a bowl and mix! Spread the mixture into a 11×7 baking pan and sprinkle the top with a little bit more cinnamon. Place in the oven at 350 degrees F for about 25 minutes. The top will look nice and golden brown with the cinnamon when done. Let cool for about 10 minutes and then cut into bar shapes. These bars are my new favorite snack, I simply cannot stop eating them. I hope you enjoy them as much as I do! 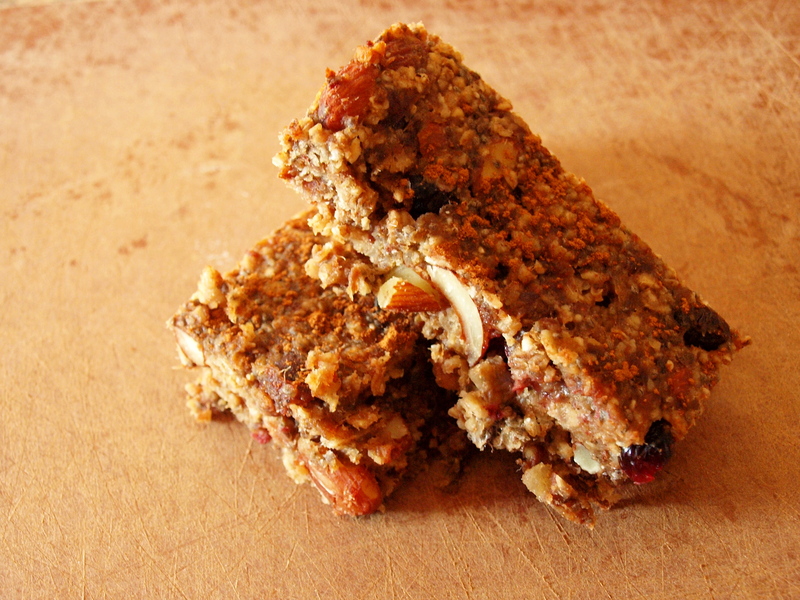 What do you like to put into granola bars? Do you have Bloglovin’? Follow me here!